The missing component between any header and a Cat-Back system is the downpipe. A stock downpipe is the weak link between an aftermarket header and cat-back system. To obtain the maximum amount of power from your engine your entire exhaust system must be unrestricted. A Billy Boat downpipe will complete your set up and give you the high-flow exhaust system that you desire. 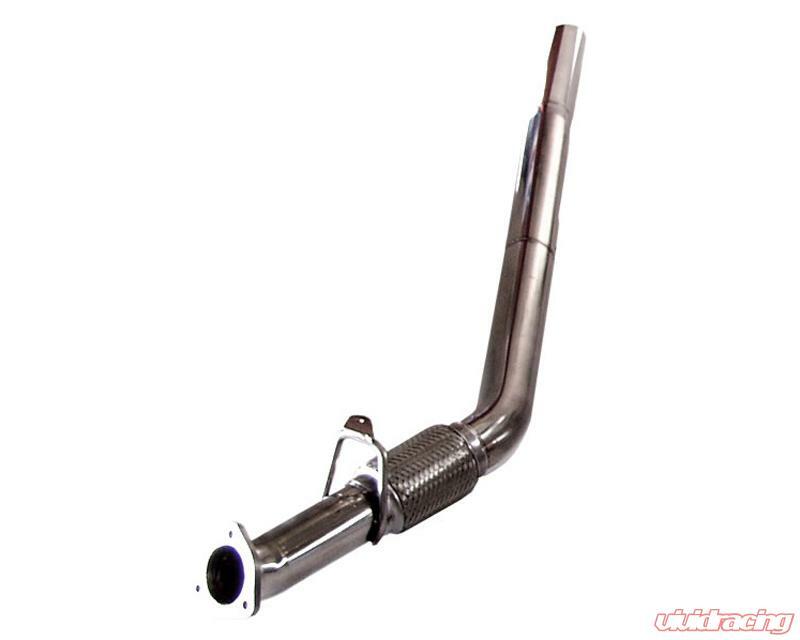 With a noticeable gain in horsepower and torque, a downpipe is the perfect addition to any performance vehicle. The polished finish adds an aesthetic touch to your new found horsepower. As with other aftermarket exhaust parts, the reduced restriction will give your vehicle a deeper, more commanding sound over stock. Billy Boat Stainless Steel downpipes are made of the same High-Quality T-304 stainless steel that is featured in their Headers and catback systems. This material ensures extreme durability and resistance to corrosion and cracking.